the heart and other major organs of the body. 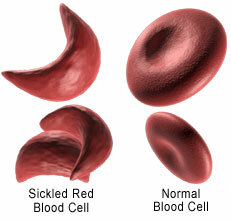 One can be affected by the full sickle cell anemia and the sickle cell anemia trait which is less deadly. This disease is characterized by fainting spells and low blood count. They are weak in nature and will have a lot of joint pain. Since there is no cure to this disease the only way to deal with it is to manage it or to prevent it altogether. 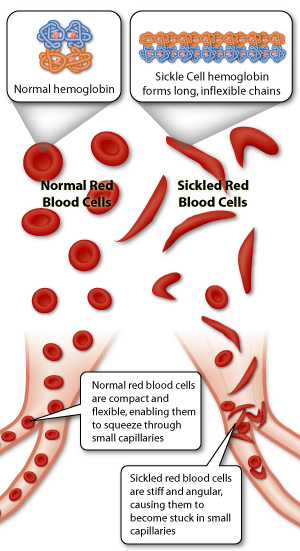 Sickle cell anemia is managed by medication, prescribed by a doctor. The situation gets worse if the child gets malaria so one needs to make sure he or she sleeps under a mosquito net. A person with this disease should be exposed to cold as it leads to chills, which can aggravate a crisis and so should the child be prevented from taking part in extreme physical exercises. The effect of this is that it can make a child to get into a crisis.